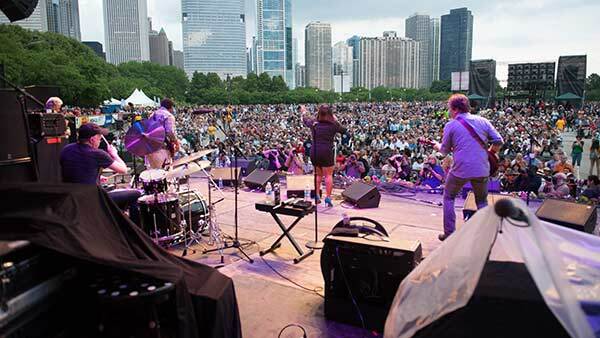 CHICAGO (WLS) -- The full lineup for the 34th Annual Chicago Blues Festival, which runs June 9-11 at the Jay Pritzker Pavilion, was released Tuesday. The festival headliners performing on the main stage at the Jay Pritzker Pavilion over the three days include: Billy Branch and the Sons of Blues, Rhymefest, John Primer and The Real Deal, Nellie "Tiger" Travis, William Bell, Gary Clark Jr., Rhiannon Giddens, Ronnie Baker Brooks and Theo Huff and the New Agenda Band. Celebrating 40 Years: Billy Branch & The Son of Blues with special guests Lurrie Bell, Freddie Dixon, J.W.S. Williams, Carlos Johnson, Carl Weathersby, Bill McFarland and Chicago Fire Horns and Mae Koen & The Lights. Eddie Taylor, Jr.'s Tribute to Eddie Taylor, Sr.
Jam Session with Eddie Taylor, Jr.
For the complete schedule, visit chicagobluesfestival.us.